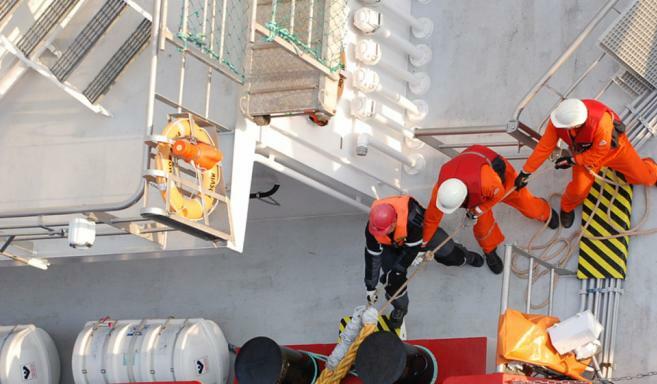 A company at the forefront of providing skilled personnel with specific expertise to the offshore industry. In 2011, Atlas adds an Environmental division to its portfolio. After years of growth in the environmental sector, coordinated from the Exeter office, in 2013, the Spanish company Geomotive joins the team. Geomotive are experts in marine Environmental Impact Mitigation, with many years of experience. At this point, all environmental activities are moved from Exeter to the specialised office in Vic, Spain, where we now provide independent environmental monitoring and impact assessment solutions for the oil, gas & renewable energy fields. The Energy & Marine sector is uniquely innovative and dynamic. A global arena built on the talents and ambitions of true specialists whose expertise drives the industry forward. Atlas Professionals exists to help make this possible – by bringing the industry and its professionals together at the frontier of Energy and Marine. We are the nexus where visionary companies find the professionals they need. And where valuable specialists find the opportunities they seek. We offer our clients a full suite of taxation, administrative, logistics, and legal services – including up-to-date compliance advice. And every day we provide professionals with the most complete and current overview of jobs at the frontier of Energy and Marine. In doing so we stand out as the committed and first choice resource for our clients. With groundbreaking industry technology and knowledge that brings teams together from all over the world. Highly competent professionals, equipped with cutting-edge knowledge, choose to work with us. Our personal approach is organised around their specialist requirements and extends to training and educational programs, tailored and developed in collaboration with the industry. Our specialists embody a challenging mentality. They push themselves and the industry to achieve the highest standards in everything we do together. Atlas Professionals. At the frontier of Energy & Marine.